Bali™ Hibiscus (Hibiscus syriacus 'Minfren') is a gorgeous plant in its natural form. Vigorous and multi-stemmed with lush green leaves all summer long and beautiful white flowers with purple-red centers. So imagine all that gorgeousness trained into a tree form? Trust us when we say this - it's stunning. The flowers have the tropical allure of the colorful hibiscus flowers of Hawaii and the cottage garden appeal of the lofty hollyhock. They faithfully bloom throughout the heat of summer and into autumn. 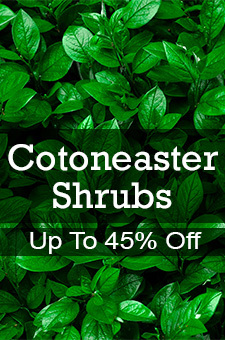 They bring a touch of the islands to your landscape, no matter how hard your winter has been. The leaves are deep green and serrated and the plant would be beautiful even without the flowers. They drop in the fall showing off interesting branching throughout the winter. This tree form of Bali™ Hibiscus is perfect for small landscapes. Imagine them flanking a walk or a front door, or lining a driveway like sentinels. They also make amazing specimen plants when put in containers and under-planted with your favorite annuals. Bali™ Hibiscus is perfect for a carefree shrub you can count on to provide reliable color every year and is a must-have for those landscape spots where you could use something simple, striking and dependable.